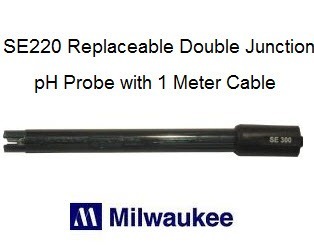 This is the new SE220 probe that replaces the Milwaukee Instruments MA911/B2 and B1. Double junction pH electrode with 1 meter cable and gel filled electrolyte solution for all "MW" and old style "SM" pH units. Note: This probe replaces the old MA911B/1.